Looking for classical music in the Glens Falls Region? 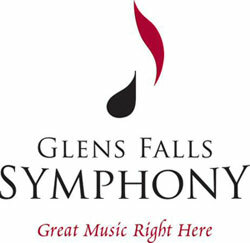 Come see the Glens Falls Symphony Orchestra! 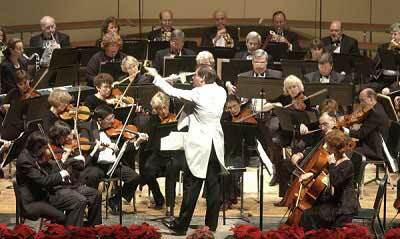 For more than three decades, the Symphony has brought music to local audiences in the Adirondack region. Its concert subcription season runs from October through May, and concerts are typically on Sundays at 4 p.m. A number of special performances also take place throughout the year. Currently, this professional orchestra under the direction of Maestro Charles Peltz has more than 50 performing members hailing from all over the northeast. The mission of the Glens Falls Symphony Orchestra is to provide a musical experience that is professional, educational, and entertaining through live performance and community outreach. The orchestra was first formed by volunteer musicians as the Adirondack Concert Orchestra and then become the Glens Falls Symphony Orchestra in 1983. Hugh Allen Wilson was music director from 1984 to 1998 and Charles Peltz picked up the baton after a nationwide search in 2000. Since 2000, the Symphony has featured revered artists such as pianist Sara Buechner and violinist Sarah Chang. Works composed by Joan Tower and Ezra Laderman were also premiered by the symphony in 2005 and 2012. For more information please contact the Glens Falls Symphony Orchestra at (518) 793-1348.